Gem & Crystal Essences, or vibrational essences. Interest in the use of vibrational essences is currently growing enormously as more and more people reach a level of awareness that leads them to look for natural ways to create greater unity and wholeness in their lives. Using vibrational essences will help us to gently feel and release the old layers of buried emotions and thought patterns that unconsciously create who we are and how we react to situations and people in our lives. Gem essences follow a very ancient tradition. Ancient cultures used gems and sound vibration to direct the subtle forces of nature. Gems came to be used in astrology as well, to counteract the negative influence of the planets. In ancient eastern medicine, gemstones and gem elixirs played an important role in the healing process. Crystals and gems were highly respected for their remarkable, even magical powers and vibrational healing properties. Scientific evidence that acknowledges the special vibrational frequencies of gems is only coming to light as science develops the knowledge and tools to analyze the structure and properties of gems, and quantum physics gives us some of the answers as to why gems, crystals and minerals are able to do what they do. Somehow they understood the vibrational power of gems and their potential influence on the subtle energies of the human being that science is only just beginning to explain today. Dating back as far as 3000 BC, a number of Vedic texts mention the use of gems, both in terms of astrology and healing. Gems were used whole, placed or worn on the body, or crushed and ingested as a powder or drunk as an elixir. Gem essences capture the vibrational frequencies of gems and are encoded with wisdom achieved at a planetary level. This wisdom is transferred from the gem to the essences in the process of making the essence. A gem is placed in a bowl of water and then in the sun for several hours, where the vibrational pattern of the gem is transferred to the water. The gem is then removed from the water and alcohol/brandy is added to preserve the memory of the vibrational frequency of the gem. This creates the ‘mother tincture’. The essence is then diluted to create a ‘stock essence’. A further dilution takes place to create a ‘dosage essence’. As Masaru Emoto has shown in his work with water (www.hado.net), intent, words, thought and music all have an impact upon the structure of water. Do you? Not big fat pastries, like canolis or Danish. I mean petit fours. The pretty, dainty pastries that are usually from France. This includes macarons. Buttercream. Pink Fondant. Flaky bits of millefeuille. Raspberries. I was craving green plants in my abode. You know, feng shui good energy and all that? Well, I ended up – dare say – killing them all. My greenthumb is non-existent so it seems. You see, I’m more of a fresh flower kinda gal, and simply adore bouquets of seasonal flowers – peonies and tulips in the spring; roses, irises, dahlias in the summer; and sunflowers and gerber daisies in the fall. But, alas, my home needed a boost of nature energy so off I went to get some easy-to-care-for plants. The choice? Succulents, in particular the jade plant. They are less difficult to….well…less difficult to kill. Wish me luck! The jade plant is a succulent with smooth, rounded flat leaves, with some varieties flowering small pink or white blossoms. As the name suggests, the leaves are a rich green with tinges of red on the ends when exposed to constant sunlight. It’s also known as the Money Plant, Friendship Tree or Lucky Plant. In Feng Shui, the jade plant is considered a good luck charm that activates wealth energy to attract the flow of money. Its green colour symbolizes growth and renewal. It’s considered to have a vibrant, rooted energy that produces fresh oxygen and positive expanding energy into a space – creating a lovely breeding ground for prosperity. Not only that, the smooth rounded leaves are said to resemble jade coins. To know where to place your jade plant to activate good juju from Feng Shui, use the bagua map to help you. * For family harmony, financial luck, good health, the success of projects and scholarly studies, place the jade plant in the SOUTHEAST are of your home. 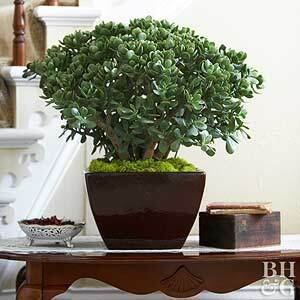 Here, the jade plant will bring balance, prosperity and success. And, with each new leaf, your fortunes are said to increase. *For creativity or children luck, place the jade plant in the WEST corner. *For business success and personal financial success, place in the SOUTHWEST area. *For activating the help of mentors, teachers and other people, place in the NORTHWEST. My friend makes loving gem essences for spiritual wellness. I wasn’t sure what these essences were, or why I would want one, but I was presented with a bottle of Morganite Gem Essence. (It’s like this or this). My friend carefully explained what these essences do, and why Morganite is the gem for me. After, I felt very pleased and happy to receive an extra dose of Universal Love with my Morganite Gem Essence. Now what exactly is Morganite? Morganite is a pink semiprecious gem from the beryl family. It is considered a powerful, high vibrational, universal stone of unconditional Divine love. It is also known as the “Angel Stone” or “Heart Stone.” It was called Pink Beryl until 1911 when it was renamed after gem collector, J.P. Morgan, by the chief gemologist of Tiffany and Co. It’s currently a popular choice for engagement rings. 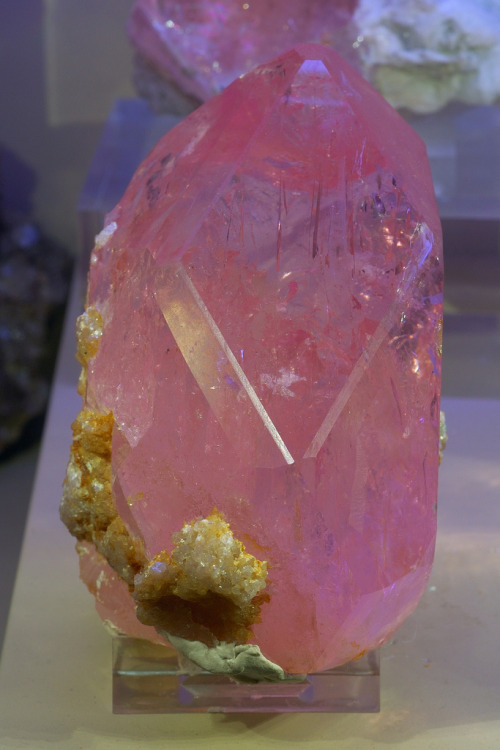 Morganite’s colour is a transparent pink that can come in shades of violet, salmon, or peach. The colour pink is said to temper anger or resentment, and can calm you for meditation and deep reflection. Pink is also the colour of new love, new romance, sensuality, and new relationships. The peachy-shades of pink (those tinged with orange) promote affection, joy, friendship, pleasure, and family. WHAT IS THE MEANING OF MORGANITE? It brings healing, compassion, assurance, determination, and commitment. It improves your self-esteem by bringing in an abundance of love, and infuses you with self-love. It is attuned to the heart and Heart Chakra (energy centre). The stone of fairness. A talisman for meetings where you wish to receive fair treatment. One of Libra’s minor birthstones. At first, they seemed all hippie-dippy. A bit tacky like lava-lamps. But then I learned about its energy properties and now I totally get why wellness-lovers covet this candle lamp. Now I have one myself and have come to appreciate its raw beauty and iridescent warm glow. I prefer the raw jagged ones, like the ones pictured above. And I also prefer the tealight candle design over the bulb design. Just saying. After all, I did profess my love for sole or Himalayan rock salt brine — still do (refresher HERE). Himalayan rock salt is harvested deep within the Himalayan Mountains, where its collected from the remains of the Primal Sea — an area that some scientists believe is where life originated (whoa). The salt is over 250 million years old, people. For reals. The salt here contains 84 natural minerals and elements that optimize health and heal the body and environment. This salt is chipped away by hand, then artisans sculpt them into shapes. This is why no two Himalayan salt lamps are the same. They are also unique because each one has its own pattern of veins and striations. I prefer the rounded yet raw shape, while others may like the ones shaped into spheres, pyramids, cubes, and bowls. The colours are gorgeous too: hues of pink, peach, orange, white, or red. I adore the peachy-pink ones. Here is the part where you may think this is all hooey, but I assure you that it makes sense if you remember highschool chemistry. So do you remember that the air is filled with negative and positive ions (electrical charges)? Well, we’ll start from there. So when a lit tealight candle warms up the Himalayan salt lamp vessel from within, the salt will start to emit negative ions (an electrical charge). How? The heat from the candle attracts moisture from the salt. The moisture evaporates and emits the negative ions into the air. Cool, huh? Don’t worry, although all you may see is the word ‘negative,’ rest assured that negative ions are a good thing. In our daily lives, we are surrounded by electronic devices (especially laptops, cell phones, TV, computers, tablets, electric fans, etc) and they produce way too many positive ions. Not good. A healthy atmosphere occurs only when negative and positive ions are balanced. When the balance is tilted, you’ll find your stress levels high, even at home where you just want to relax. Himalayan salt lamps produce negative ions naturally — which neutralize and balance out these negative ions to restore and purify the air, your attitude and your energy level. You can’t even see them but they are abundant in nature (re: salt=nature). A great big whack of negative ions are produced naturally by waterfalls, thunderstorms, oceans, beaches, and mountains, which is why you feel so calm and refreshed after a visit to these places. And the air feels and smells so clean and fresh. Ooooh yeah, right? I don’t know too much about turmeric, but I do know that it’s mighty good for my health, its even nicknamed “the spice of life.” In its root form, it looks like ginger, its cousin. It gives the yellow colour to Indian curries and to hotdog mustard. After prayers, Hindu priests use it to make a dot on the third-eye area. 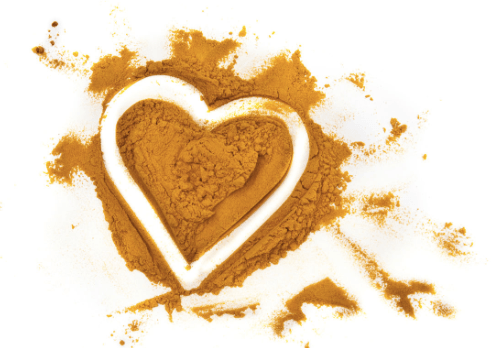 According to Ayurveda, turmeric provides the flavour profile of bitterness to food, and balances all the doshas. * Elders in India who eat a ton of turmeric in their curry meals have a low rate of getting Alzheimer’s disease. * Okinawans in their Blue Zone are amongst the longest surviving peoples on the earth (and healthy!) and they apparently drink tons of turmeric tea — something the mainland Japanese don’t do. * It also is said to detox the liver, slow down metabolism, relieve stress and even depression, ease arthritis, repairs cuts and burns topically, aid digestion, settle an upset stomach, and relieve a sore and irritated throat. * Dewy skin 1: Blend 1/2 tsp turmeric into 3 tbsp plain yogurt. Put this mask all over your face. Leave on for 5-10 minutes. Wash off. Glow. * Dewy skin 2: Blend in a teeny pinch of turmeric (not too much or you’ll stain your skin a mustard-yellow) onto your night cream before smoothing it over your face. My favourite way to get my turmeric on, is to make a soothing and creamy turmeric tea. There are many types of turmeric tea recipes out there, but I prefer this version which is a melding together of various recipes. Enjoy! PS: I use Arayuma Ground Turmeric that I bought at Ten Thousand Villages. It’s organic and fair-trade, and harvested by small organic farmers in Sri Lanka and India. the voice of the hawk. Basically, matsutake are the truffles of Japan. They are infuriating to find because once plucked, they never grow in the same place twice. It’s a seasonal item, so when autumn arrives you have to forage deep in the forest and search in the damp, moist earth near the roots of red pine trees (ideally)…and search, and search, and search, which is why matsutake are so expensive. And, thankfully, you can’t really farm them either so matsutake remain local, wild, woody, rich, nutty, perfumed and creamy when cooked and therefore highly prized. My dad has an inside connection to getting a matsutake stash every autumn. I still don’t know who he knows. But I do know that the soil of the Pacific Northwest (where we live) is an ideal environment for matsutake to thrive deep in this temperate rainforest. Whatever papa’s hookup, I’m just grateful and delighted to taste its creamy, perfumed woodiness. 1) Sliced matsutake pan-fried in butter and a tiny bit of shoyu (Japanese soy sauce). This is a bit of a blasphemy for some true enthusiasts but it tastes delicious. 2) Matsutake-gohan (pine mushroom rice). Like this here. 3) Matsutake dobin mushi (pine mushroom clear broth). Like this here.